This wonderful Colorado River float trip is a gently flowing section that is inviting to all ages. You’ll encounter a few small rapids as the Colorado River winds through the Gore Range and Mountain Ranchland. This is a relaxing day with time to sunbathe, swim or just relax and enjoy the day on your Colorado River rafting trip. The Colorado float half day trip is available two departures per day. This trip departs from our Kremmling Outpost, where you will check in and load an AVA vehicle for the 30-minute drive to the Colorado River. We run from Pumphouse Recreation Area to Radium on this trip. AVA is a Licensed River Outfitter – Issued by Colorado Parks and Wildlife. All or part of this operation is conducted on Public Lands under special permit from the U.S. Bureau of Land Management. 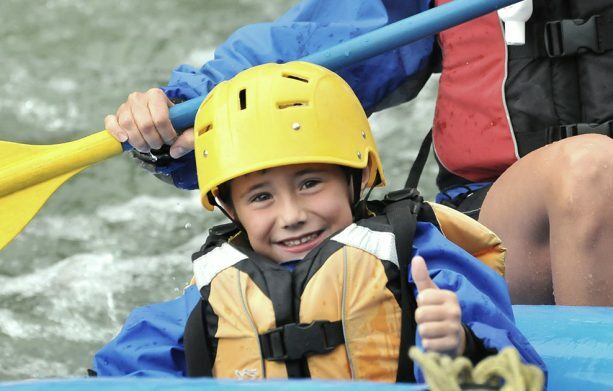 AVA Rafting & Zipine wants to set you up for a great morning on the water with your crew. On our Scenic Float Half Day, we’ll provide splash jackets and wetsuits free of charge so you won’t have to stress about an extra charge when you arrive at our outpost. 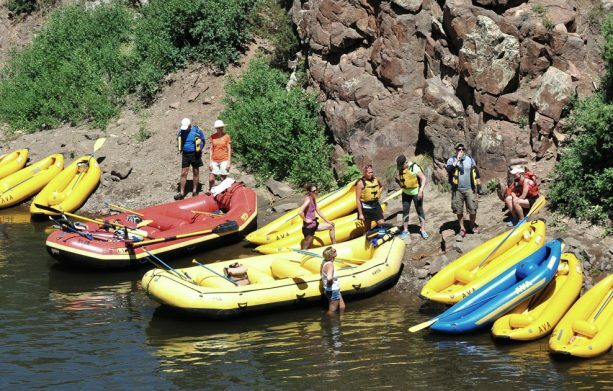 If you’re not sure what to bring on your Colorado River rafting trip, check out the suggested items and gear lists we supply. "My son had a blast"
My 11 year old son had a blast and was not bored. Originally my boyfriend and son wanted to go on a level 3-4 rapids, but you have to be at least 15 years old. They were so nicely surprised and still thought it was exciting. The supplied wetsuits and helmets were nice and they really had fun with their guide. We took a half day trip with 10 of our family members (ages 11-79) and it was great! Elissa and Mack were fabulous guides, and made it lots of fun for us. We will go back for a full day float and possibly even the overnight rafting trip! "I always call AVA when I have family in town"
We did a float trip on the Colorado with some family that was in town from Germany. Our youngest was 4 along with some other pretty young kids and out guide Katie kept everyone entertained the whole trip, including the bus ride. I always call AVA when I have family in town that want to do a commercial rafting trip.